Batik is one way of making fabric. Besides batik can refer to two things. The first is the technique of coloring cloth using the malam to prevent staining part of the fabric. In the international literature, this technique is known as a wax-resist dyeing. The second notion is the fabric or clothing made ​​with these techniques, including the use of certain motifs that have uniqueness. 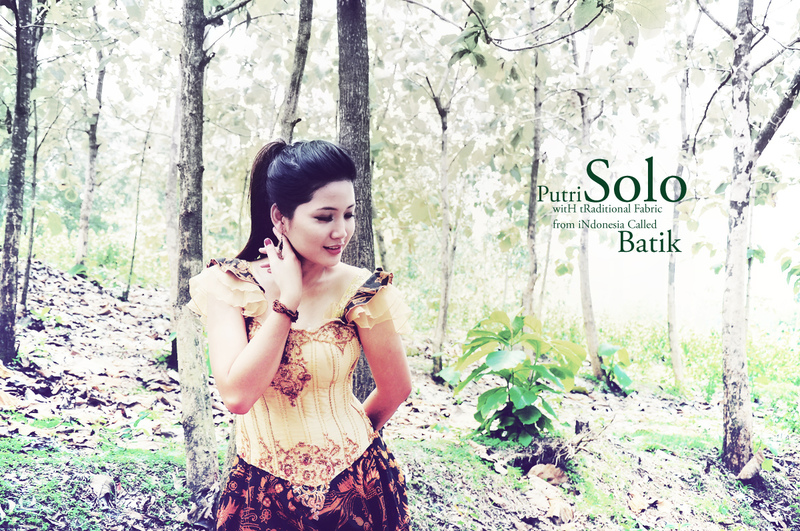 Batik Indonesia, as the overall engineering, technology, and development-related motives and culture. Javanese traditional batik, especially from Yogyakarta and Surakarta / Solo, has notable meanings rooted to the Javanese conceptualization of the universe. A lovely portrait of a beautiful woman! Wow, very nice pictures. Did you change a little bit the colors of the leaves and the trees on the background?